In Mexico’s upcoming auction for oil and gas leases, it has moved to sweeten the pot in an effort to avoid another disappointing result. 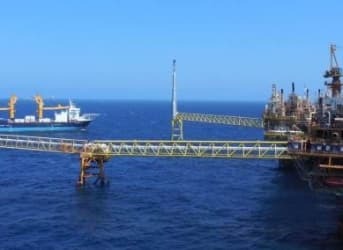 Also, in early August, Mexico’s Comision Nacional de Hidrocarburos (CNH) – the oil and gas regulator – decided that for the second round it would lower the corporate guarantee, which is money that the companies would have to pay in the event of an accident. The move is seen as sweetening the terms for the private sector in order to attract more bids. The next round in September will consist of five contracts with nine shallow water oil fields. These will also be located in the southern Gulf of Mexico just like the first round. Twenty companies have qualified for the auction, including Chevron and Royal Dutch Shell, two oil majors that sat out the first go around. Offshore oil fields, even if they are in shallow water, are something that could be out of reach for firms that are battening down the hatches. And as capital expenditures get slashed, exploring in new areas where the geology is less known is not something many companies are willing to risk. On the other hand, oil has already been discovered in the blocks that will be auctioned. The Mexican government’s latest sweeteners could entice a few more companies off the sidelines, perhaps just enough to make the second round a bit more successful than the first. Caspian Sea coast, offshore Norway, Rhine mouth, etc., etc. rock will get thinner and thinner(and weaker and weaker).